Have you ever been annoyed by inability to run programs as administrator automatically? While this is not a PC error that needs fixing, there are situations where you might prefer to run programs automatically as an administrator of your computer and not have to right-click on them and select “Run as administrator…”. In this post we’re going to show you how to do that. The easiest way to configure programs to run with the highest privileges (e.g. as administrator) is to create a scheduled task. This will also let you avoid annoying UAC prompts. When you create a scheduled task, you can tell Windows which user account you want to use and which privileges that account should have. Simply select “As administrator” and you won’t have to re-run the task and click through UAC prompts. Don’t forget to specify that you want to run the task on user logon. 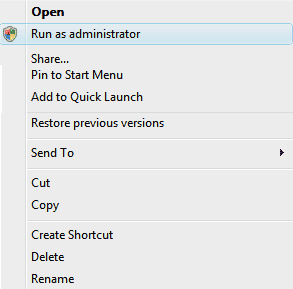 Another way to run programs as administrator automatically is to create a shortcut and select the “run as administrator” option for the shortcut. This is a simple and effective solution, although you will still have to respond to UAC prompts. Now you know how to configure programs to automatically run with administrative privileges.